Chemical Free Kids - whats the issue? 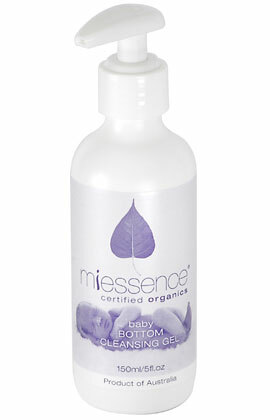 I mentioned in last months newsletter that this month we would reveal the NEW baby products from Miessence. I have chosen to put quite a lot of information in this edition, I hope you can cope with it - it is important to understand the enormity of this issue. Some of the information is from a presentation by Dr Sandra Lantz at the recent ONEgroup conference. So lets get on with it, hope you find the following interesting. CHEMICAL FREE KIDS - so what's the issue? For many of us have the thought(and illusion) that when a child is born they are "pure and untouched" by all that is man-made. A new born baby is a special gift and obviously as caring parents we all would like to think we do the best for our precious wee things and protect them from all the "nasty" aspects of the world we live in. Up until quite recently, it was thought that the placenta was an effective barrier for the feotus and protected the unborn from toxins that may circulate in the mothers blood. Blood tests taken from the umbilical cords of 30 newborn babies and from more than 40 new mothers were analysed for the presence of eight groups of chemicals. Every single sample of mother or baby blood tested positive for an array of chemicals, many of which are suspected of links to health problems ranging from birth defects and genital abnormalities to certain types of cancer. All umbilical cords contained a minimum of five of the 35 chemicals tested for, some contained as many as 14. Two of the mothers tested had 17 of the 35 chemicals in their blood. And then EWG research found an average of 200 industrial chemicals and pollutants in umbilical cord blood from 10 babies born in August and September of 2004 in U.S. hospitals. The umbilical cord blood of these children harboured pesticides, consumer product ingredients, and wastes from burning coal, gasoline, and garbage. Of the 287 chemical detected in the umbilical cord blood, 180 cause cancer in humans or animals, 217 are toxic to the brain and nervous system, and 208 cause birth defects or abnormal development in animal tests. What makes children particularly vulnerable to chemicals? the skin of children is also more permeable than adult skin. And just so you know - here are some simple facts. Chemical production is growing exponentially every year. 100,000 synthetic chemicals are available in the market. In 1930 one million tonnes of chemicals were produced annually, in 2008 400 million tonnes is being produced. 1500 new chemicals will be produced this year. This means that every 6 hours a new chemical is being produced. Here is one example, I will leave it up to you chemical detectives to check on the rest of the ingredients, but here is a start, I feel this type of product is a real nasty beast...and is used so innocently by many caring parents. DMDM Hydantoin(Derived from methanol) Preservative:Skin and eye irritation; allergic reactions; dermatitis; may release formaldehyde. Formaldehyde is a known carcinogen (causes cancer). Causes allergic, irritant and contact dermatitis, headaches and chronic fatigue. The vapour is extremely irritating to the eyes, nose and throat (mucous membranes). Is also a Nitrosating agent. Used in Cosmetics, shampoos, mascara, cream conditioners. Methylparaben Preservative: May cause allergic reactions - skin redness, itching, swelling, contact dermatitis. Also used in cosmetic and personal care products an inhibitor of microbial growth and to extend shelf life of products. Widely used even though known to be toxic. Have caused many allergic reactions and skin rashes. WARNING! HARMFUL IF SWALLOWED OR INHALED. CAUSES IRRITATION TO SKIN, EYES AND RESPIRATORY TRACT. MAY CAUSE ALLERGIC SKIN REACTION. So other than the skin irritations that can result the more important aspect is the toxicity itself. Whilst our bodies are very clever and can eliminate some of chemicals we ingest, digest and absorb, many of them cannot be effectively eliminated or broken down. Accumulate or they can have an additive (or cumulative) effect, meaning that toxicity of one adds to the toxicity of another. How do we measure if a chemical is toxic? The study of poisons in the body is known as toxicology. Toxicity testing of the body is rarely done and when it is, testing is performed on singular chemicals and does not take into account the potential for interactions. The problem is we are usually(always I would suggest) exposed to multiple chemicals simultaneously. do no harm to the body. Once again, those of us who have choices with where we spend our hard earned cash can be far more influential on manufacturers simply by not buying products that use ingredients that cause harm - the next step is in your hands. The Miessence baby range consists of 6 products(plus one for Mum) all free of essential oils and have been specifically designed to sooth sensitive baby skin. Free from allergens and semi-naturals. Hint of organic vanilla to help neutralise stinky odours. Significant savings over disposable wipes. To check out all the new Baby products and their ingredients etc, click on this link to our ONEgroup website. And don't forget, if you are planning on having children, clean up your act now and have a healthier happier baby by using only the purest safest products on the planet. Rejuvenessence Facial Serum was recently honoured at the Natural and Organic Awards 2008. It was a finalist in the “Best Organic Facial Skincare Product” category. If your skin is feeling dehydrated and dry from the cold winter weather, or damaged and burnt from hot summer days, why not superboost your daily moisturising step with Rejuvenessence Facial Serum? Simply massage a few drops into your moisturiser on your palm and apply to your parched skin. You will feel the relief immediately, and your skin will have a beautiful, healthy glow. For many of our customers, this formula is at the top of their list for giving their skin that "little bit extra", now with this award, more people are finding out just how very good this product is! Have you tried it yet? See the bottom of the newsletter for a special deal! Lets lighten up and get a little humour into things here. The following is something that I thought may be worth sharing. Particularly important for any health practitioners out there to grasp this technique! And just when you thought you had all the up to date info, here is a little more. Baby lotion, powder and shampoo can lead to higher concentrations in an infant’s body of phthalates, chemicals linked to allergies and altered reproductive development, a US study shows. babies. Phthalates are chemicals commonly found in personal care and other household products, including plastic children’s toys, lubricants and chemical stabilisers in cosmetics and personal care products. Animal studies of phthalates have found that they can harm reproductive system development, and studies in humans have found that prenatal exposure or exposure through breast milk can alter hormone concentrations, the study says. Lead author Dr Sheela Sathyanarayana, a professor of pediatrics at the University of Washington medical school, describes the findings as “troubling”: “Babies may be more at risk than children or adults because their reproductive, endocrine and immune systems are still developing,” she says. She adds that phthalate exposure in early childhood has been associated with altered hormone concentrations as well as increased allergies, runny nose and eczema. Come on folks, its all up to us - we are the ones with the choices, so make them wisely, the ongoing use of sysnthetic chemicals affects us all! To celebrate the recent award for the very popular Rejuvenessence Facial serum we are offering a special deal for any of our NZ customers, in fact we will pay the GST and send it to you FREIGHT FREE for the entire month of September. The cost for this months special is just $49.95 so that's a saving of more than $12.50! If you would like to take advantage of this months offer please reply here without delay.